A wedding dress should be, first and foremost, YOU. It should fit like a glove and suit you perfectly, and you should feel like a million dollars. If that means a non-traditional dress, a designer number or even something floaty you’ve made at home, that’s fine by me. I like dresses which are different… ones which make a beautiful statement. Today’s wedding dress of the week is new from Luella’s Bridal: this is “Nuria”. The collection from Luella’s Bridal (which I’ll be sharing more of in coming weeks) can be described as “Modern Bohemian with a British Victoriana influence” and has been designed in partnership with British Wedding Dress Designer Charlotte Casadejus. 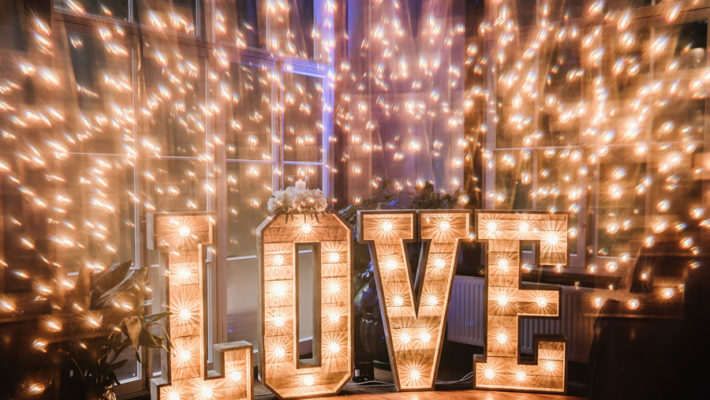 Lottie and Richard’s has to be one of the coolest, brightest, most exciting DIY weddings I’ve ever published – truly, they used ALL the colours… and it looks amazing. They’re a gorgeous couple, their images are superb, and something tells me you’re going to adore their wedding as much as I do! There was plenty of DIY involved in the run up to the day, and Lottie told me “This was by far the main focus of our wedding preparation. I love arts and crafts.” Some of those makes include 500 origami birds, “which was a challenge!” and a 200-strong multi-coloured paper lantern display in the centre of the marquee. Happy Valentines Day, you lovely lot!! I wanted to share something really special with you today – a romantic, intimate English wedding blog with super pretty and inspiring pics! 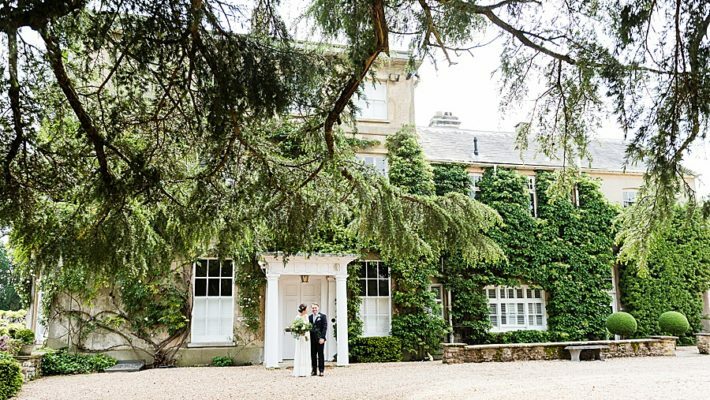 Jo and Andrew are the loveliest couple – their Hampshire wedding at Oakley Hall is absolutely gorgeous. 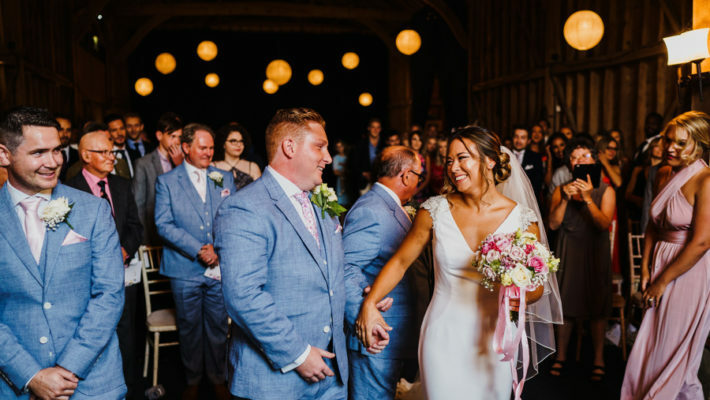 They wanted to show their guests, many of whom were travelling from Australia, a taste of England with the venue, styling and atmosphere of their wedding – and the day looks simply amazing. The flowers are stunning – they’re by Winchester florist Catkin & Pussywillow, who came recommended by Jo & Andrew’s wedding planner Marie at Isabella Weddings. 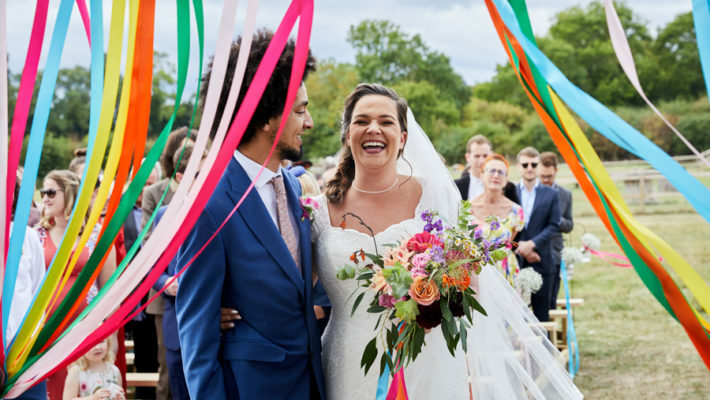 Kate & Russell’s wedding is a wonderfully colourful, homemade celebration with some fabulous creative details and lovely moments. Their table plan is divine: you’d never know it was made in a panic the day before the wedding, along with the other reception stationery – it’s so lovely! If the words on the wedding cake (in scrabble letters) don’t make you feel all squidgy inside, then you’re all wrong. This is so lovely – such a personal wedding day, with some magical moments and creative touches – and a stunning bride and gorgeous groom. I hope you like this intensely personal, Scrabble-inspired, handmade London wedding. Laura and Rich are both teachers and avid readers so what could be more fitting for their wedding theme than Scrabble? After an elegant ceremony at Asia House, months of planning and lots of hand-made details transformed their reception venue (Icetank) into a shabby chic heaven complete with the wooden chairs, mismatched tablecloths and floral crockery. They’ve traded the traditional first dance for a violin/guitar performance and topped it all up by a flash mob dance surprise performance by the bridal party. As a little girl I would visit my nan every Sunday, unlock her china cabinet and carefully handle her beautiful tea set. She’d been given this as a wedding gift in 1956. I’d spend hours playing with the tea cups, pretending to hold tea parties. I was enchanted by their delicacy, the pretty rose design and gold gilding. These were keep for ‘good’ and I loved it when special visitors came and they were used. The tea seemed to taste better, the sandwiches looked daintier, the cakes more elegant, and the whole occasion extra special. It was here that my love affair with afternoon tea and vintage china started. When my boyfriend proposed I knew exactly what kind of wedding I wanted. A few years earlier we’d attended the Royal garden party at Buckingham palace and I wanted to recreate that, but with alcohol and perhaps on a smaller scale. 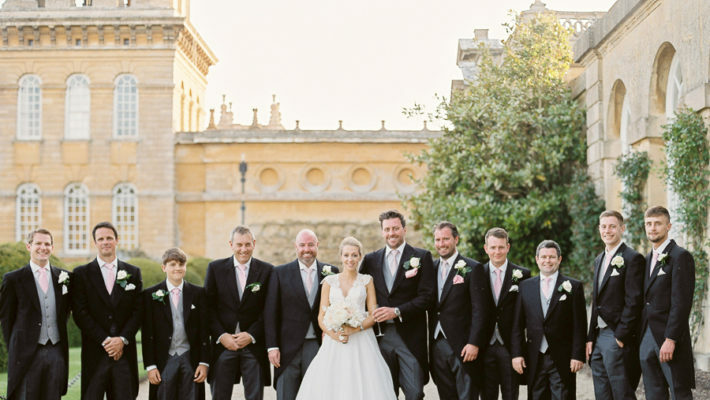 Today’s is a traditional wedding on an impressive scale – with some gorgeous photographs and beautiful moments I know you’ll adore. The stunning bride and groom are Jessica and Michael, who told me “we had over 300 guests with the majority being loud old Chinese ladies(!! 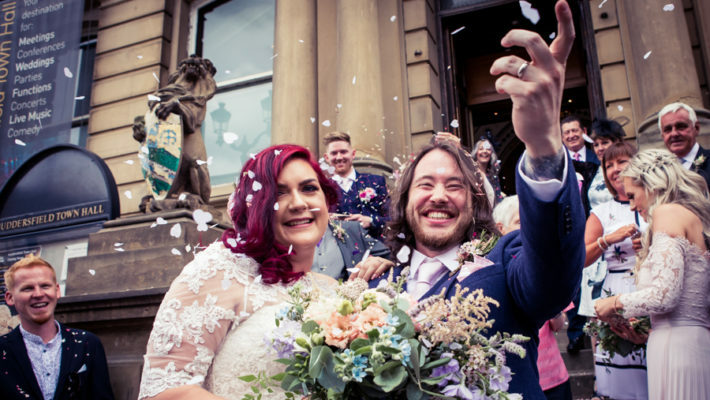 ), this would be daunting and difficult for anyone, but Duncan handled it all smoothly“, their photographer being Newcastle wedding photographer Duncan McCall Photography. I asked Jessica, What’s the best thing about being married? Her answer was lovely: simply, “Having my best friend around all the time.” And the love between this wonderful couple just shines from their photos. Enjoy! Supporting little indie businesses is wonderful. There are hundreds of amazing and dedicated independent designers pouring their hearts and souls into their creations – and having to compete with the big boys. 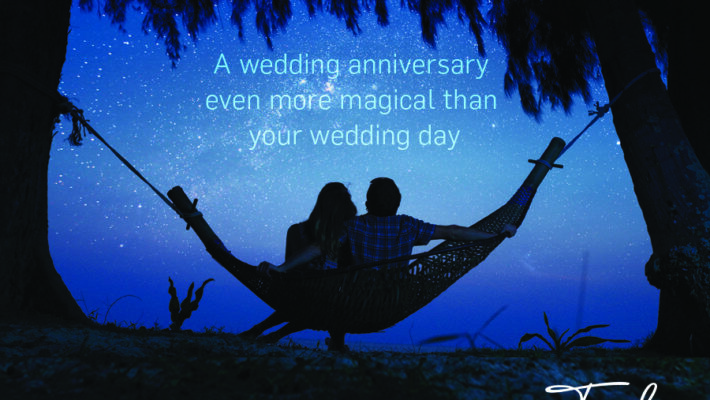 It ain’t easy – so every little bit of support you can give to indie wedding stationers is worth its weight in gold. Here are some of my favourite wedding invitations featuring pretty, quirky and unique illustrations.